Brad and Angie's wedding pics were reportedly sold for $5m! 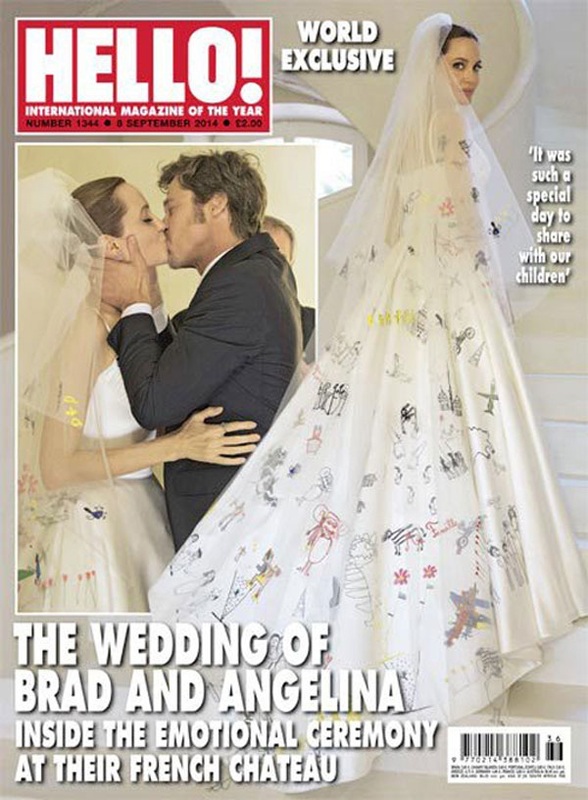 Los Angeles - The world watched in awe as two celebrity gossip magazines released the first images of Brangelina's secret wedding earlier this week. What few people are actually aware of is just how much those exclusive wedding snaps cost to publish. MailOnline on Friday revealed that Brad Pitt and Angelina Jolie made a whopping $5m off of their wedding photos - selling them to Hello! magazine and People magazine for $2.5m each. But before you judge them - the goodhearted celeb couple is donating all the money to charity. The pair are currently honeymooning with their six children on a luxury yacht in Malta. The famous couple - who secretly got married in France in August - are staying on the yacht while Angelina directs her upcoming new film By The Sea in the area. According to New York Post's Page Six column, the Athena is a "300 feet long three-masted schooner" and the "fourth-largest sailing yacht in the world." It has previously been reported that the couple paid locals living in the neighbouring island of Gozo almost $200,000 as compensation, after business owners were asked to leave to allow filming to happen.